Fabulous Frogger: Is it Monday already? I did get some stitching time in...so I guess all is not lost. I was able to spend some time on Coral. I wanted to finish page 1 by today, but alas........ just not enough hours in the day! I did however, get most of my Christmas shopping done (just 2 gifts left to get! )......and I did it all online!! What did people do before the internet? I know I mentioned a week or so ago that I started a new diet. Thanksgiving celebrations steered me a little of course, but I'm back in line. I've lost about 12 pounds so far, so I'm happy!! Here's hoping I can keep on track through the holiday! My oh my.....my giveaway just puts a huge grin on my face! I love that I keep seeing new followers and new sign-ups! I've updated the list on the thread and I'm officially over the next addition mark (85)....I just haven't taken any pics of the new items. I'll get those taken and uploaded as soon as possible!! I wonder if I can hit 100 followers before the giveaway is over! 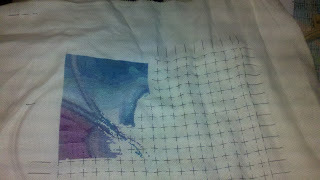 Anyhoooo.....just a quick post on my weekend work....I'm off to stitch! Happy Monday to everyone! The colours you have stitched on Coral are gorgeous. I am motivated now,after reading your post,to get going with the presents I am buying on line. I agree, what did we do before the internet. Your stitching looks beautiful. 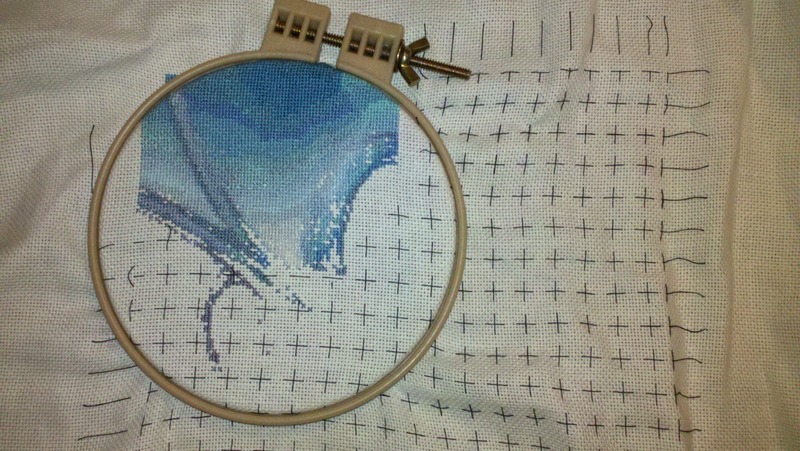 Each stitch counts so at least you made progress. Major congrats on the weight loss. Losing 12 pounds has to feel great! I'm having fun coming up with my WIPocalypse list. I just love the ideas giving inspiration to update our blogs and have fun stitching with each other miles apart. Hope you have a great week. I think you have got loads done and it looks great. Congrats on the weightloss and christmas shopping. wow it ism looking so lovely..great progress..
congratulations on your 12lb loss..very well done to you..
wow that is actually a good bit of progress. You made good progress on your stitching! Kudos on the 12lb weightloss. May I ask how you're going about it? Thanks everyone! :) I need to remember that progress is moving forward, even if it's tiny steps!